What are Digital Escape Rooms? Digital Escape Rooms are activities that students complete in order to get a code to move from Room (Activity) to Room (Activity). Each code is inputted into a Google Form which will lead them to a link to the next room. Once students have progressed through the Breakout Rooms, they will be able to ESCAPE. 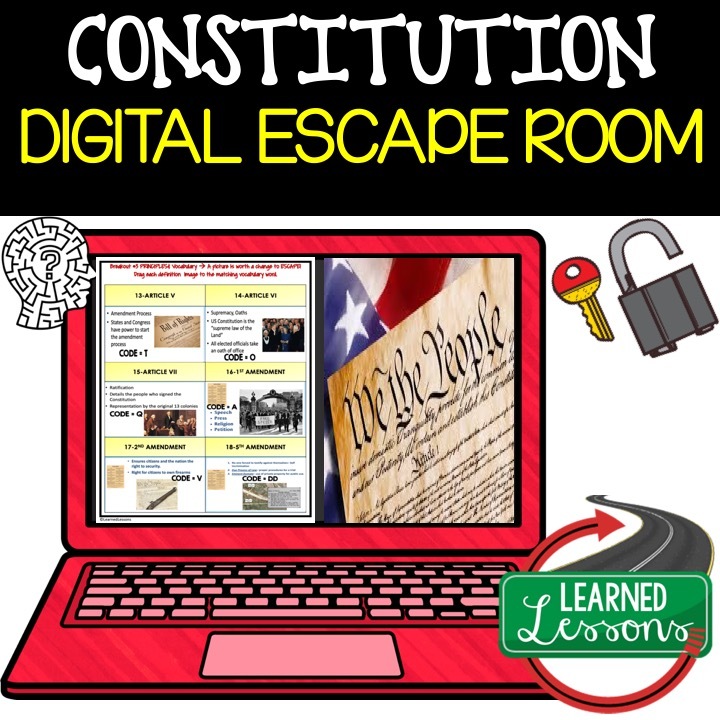 Google Form: A link to a document that allows students to input codes move through the Digital Escape Room. 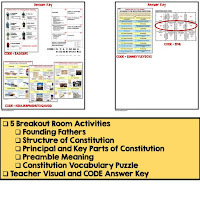 This allows the activity to be student led and the teacher does not have the check codes, but can just facilitate assisting students with the activities in the Breakout Rooms. 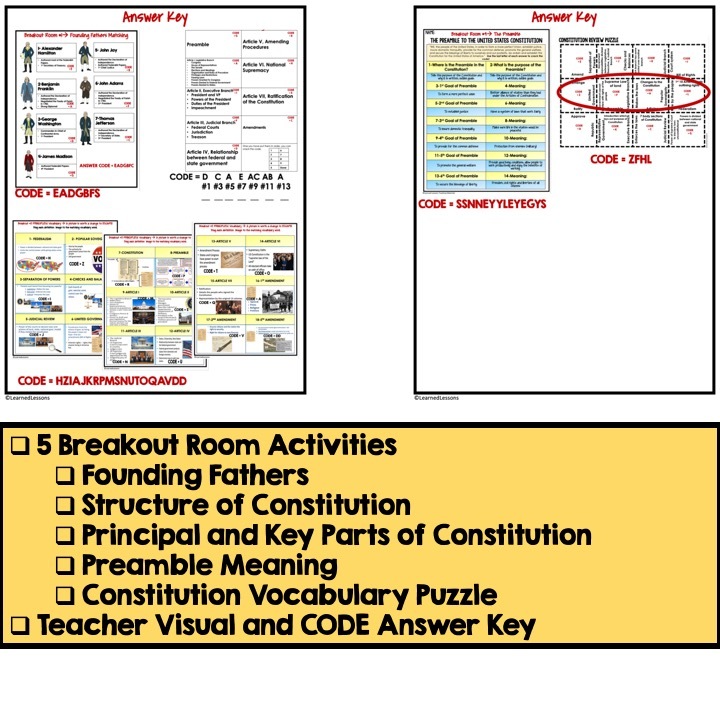 Breakout Room: Activity that must be completed to get access to a SECRET CODE. Code: A SECRET sequence of letters or numbers that must be inputted into the Google Form to gain access to the next Breakout Room or the final Breakout Room. 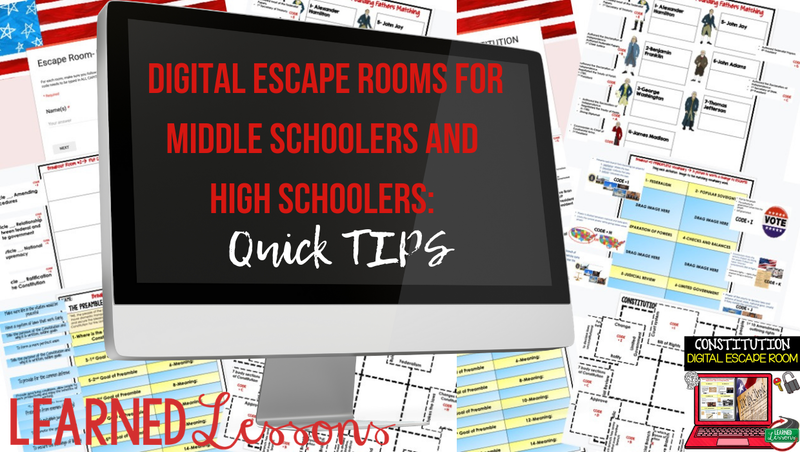 Why should I use a Digital Escape Room over a paper escape room? 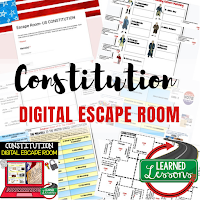 Well, if you are looking for an activity that requires ZERO center prep, ZERO copying, and ZERO color-coding, then Digital Escape Rooms are for you. However, sometimes the personality of your class dictates which type of escape room is best. In my experience, even if you are not comfortable and it is out of your realm of knowledge, the kids LOVE them and they are pretty savvy about figuring out how to navigate the system. How do I ensure a smooth Digital Escape Room experience? Make sure you read the teacher instructions throughly. Make sure you click on each link and understand how each activity works. 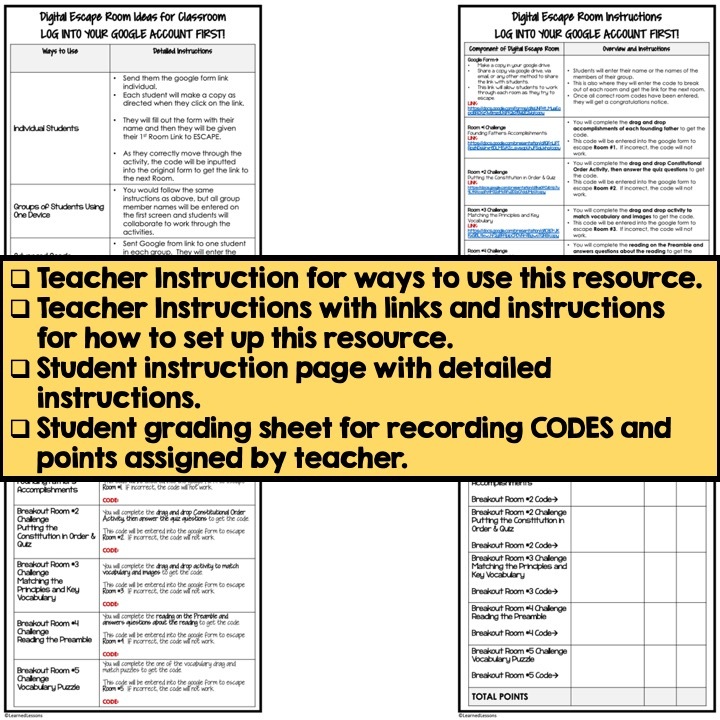 Make sure you have clicked on the Google Form and you know how to share the link and have students use the link. 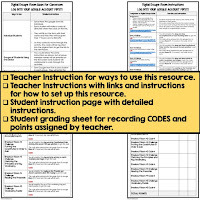 When you assign the activity to students, open each activity and explain what is expected in order for them to get the needed CODE. You might even want to try and Escape yourself. 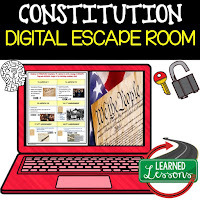 I just finished my first Constitution Digital Escape Room. I am so excited about it. 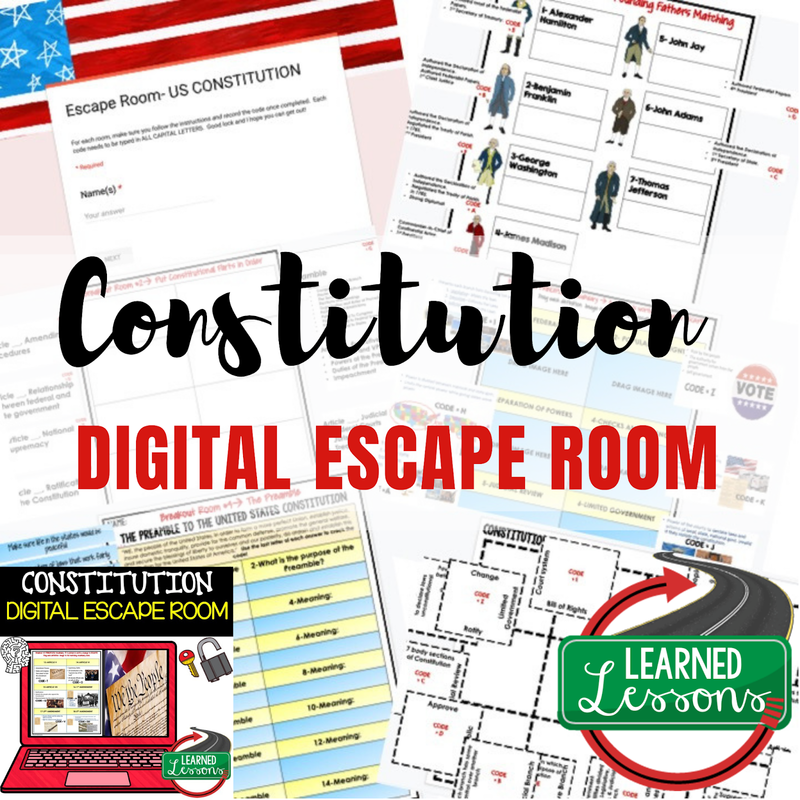 It covers several key topics and will make learning about the structure and background of the constitution fun!